John Amico School of Hair Design prepares its students to pass their state license exam. We are "transforming lives through quality education," thereby equipping our students, future salon professionals, with the tools needed to become successful in their communities." With a mother who was an artist and a father who was an architect, John Amico Sr. was destined for a creative career. After attending Notre Dame to pursue an architecture degree, he switched to beauty school. Amico's determination to succeed came after initial failure. He was fired from his first two salon positions after only days. He started over as a shampoo boy and within six months was as good a hairstylist as anyone he worked with. After one year a client offered him a lease on an empty barbershop next to his business, and John took advantage of this opportunity. And opened his first salon. He spent the next four years training, traveling and competing as a platform hair artist. His specialty was competitive hair design and creative haircolor with European influences, after studying in London, Brighton, Paris and Amsterdam with world champion hairstylists. When asked what led to his initial success Amico states, "Not knowing any better!" Amico was always entrepreneurial growing up, starting many small businesses. He says, "If you have a dream, you have a vision. A lot of people out there are dream-killers. You have to be able to see what others cannot see." He initially opened a chain of his own cosmetology schools. Then, he launched "Hair Performers," as a salon chain in 1973, seeing a need for trendier and younger image full-service hairstyling salons. He manned the businesses with students from his beauty schools and in 1976 had grown to 20 locations. He helped students and staff purchases his branded salon system of their own, telling them, "we're going to hire you as a future owner." This very successful salon chain grew to 225 locations. 123In 1986, Amico saw a need for a "value-priced" salon, which was a niche in the market they weren't getting. He created We Care Hair Salons with Subway sandwich restaurant owner Fred DeLuca and they quickly opened 175 locations. Amico cites DeLuca as a role model and mentor. "We grew up in franchising together, when Subway had less than 100 locations. Amico served as a visionary leader for his own cosmetology schools and salon chains until his family decided they wanted him around more. 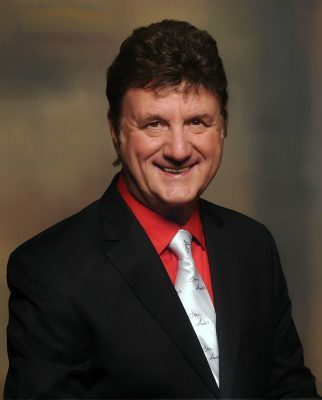 He started selling each of the businesses in the 1990's and focused on his John Amico Products Company, which is the oldest family, owned Professional Hair Care Company. Amico is a regular motivational speaker, at events such as Intercoiffure, Premiere, the Midwest Beauty Show and the International Beauty Shows as well as events such as the Subway International Franchise Convention. . Amico won the prestigious 'Sprit of Life Award' in 1986, joining the ranks of such industry leaders as Jheri Redding and Paula Kent-Meehan of Redken, Arnie Miller of Matrix, John Paul Mitchell and Mike Renzulli of Sally's Beauty Supply. He also works to support local charities. Family remains a major part of his life and he talks to his children every day. The John Amico Products has grown to be used in thousands of the best salons in America. John is very proud of the education that the companies teach. The is only one Cosmetology School in the US teaching the basic licensing at John Amico School of Hair Design in Oak Forest. IL His challenge in his school and salon work has not been money. The John Amico Products has grown to be used in thousands of the best salons in America. John is very proud of the education that the companies teach. The is only one Cosmetology School in the US teaching the basic licensing at John Amico School of Hair Design in Oak Forest. IL His challenge in his school and salon work has not been money,yet rather "identifying the right people with the passion to be the best and creating the right systems for achieving their mutual success." His biggest personal reward lies in seeing the success of those students and salon owners. "People often meet me years later to tell me how I've successfully impacted their lives." Amico describes himself as a positive, nurturing influence and says the most important thing to do to succeed is to "Walk the talk. Whatever you do" you'd better lover it! if you love what you do people will help build your success."